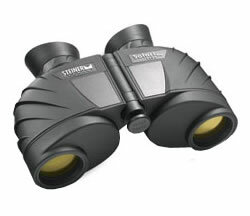 Sun, rain or dust - thanks to STEINER's proven robust design, these binoculars defy all weathers and allow clear 3 Dimensional observations even under extreme conditions. Amazing clarity even into the edge zones, unbelievable colour brilliance even under difficult lighting conditions and vivid images are the features of the newly developed high-contrast optics. Now with practical Sports-Focus Plus! The highlight of the Safari UltraSharp 8×30 is the amazingly vivid image they offer, with an extraordinary depth of focus and lifelike colours. The original STEINER Safari models have been tried and tested for decades and millions sold. With STEINER Sports-Focus, you will always see clearly at distances from 20 metres to infinity, all without annoying refocusing. The new, innovative STEINER Sports-Auto-Focus Plus offers you the crucial bonus: Once adjusted, with a simple turn you can also observe sharp images at a close range of 2 to 20 m. A short turn to the right is all it takes and you will see clearly in the close range as well. This makes the Safari UltraSharp 8×30 unbelievably practical to use and multifunctional for a wide variety of uses.